Kandy Lake (Nuwara wewa) - Kandy. - Locations in Sri Lanka. 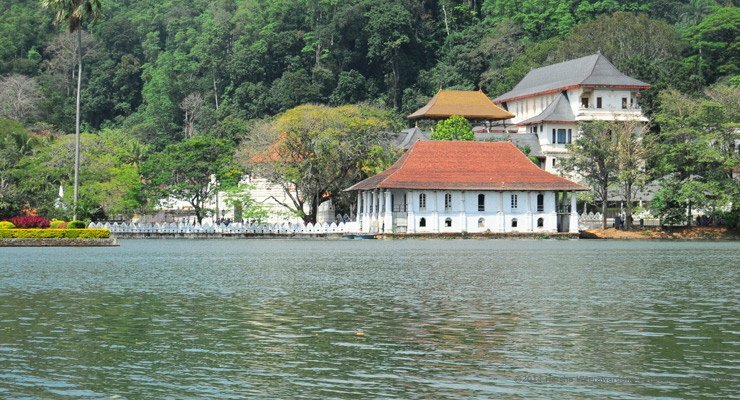 Kandy Lake is a lake in the heart of the hill city of Kandy, Sri Lanka, built in 1807 by King Sri Vikrama Rajasinha of Sri Lanka next to the Temple of the Tooth. Over the years, it was reduced in size. It is a protected lake, with fishing banned. There are many legends and folklore regarding the lake. One such is that the small island at its center was used by the king's helm for bathing and was connected to the palace by secret tunnel. Kandy Lake, the main body of water in the city of Kandy in central Sri Lanka, is a man-made lake created in 1807 by the last Sinhalese king of Kandy, using forced labor. The king used land which was a paddy field to create the lake. It stands as an indictment[according to whom?] 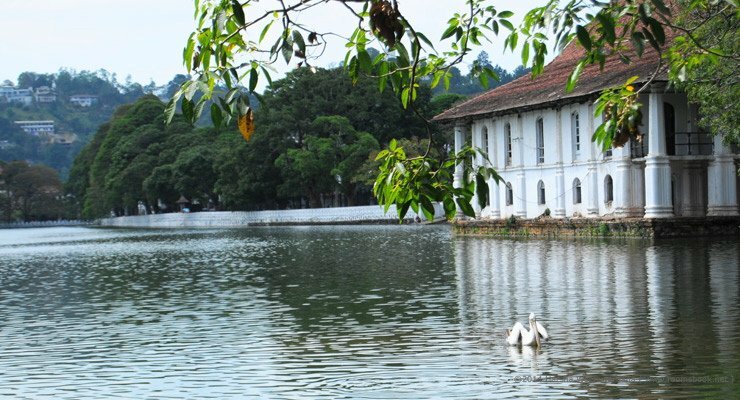 of the excesses of the Kandyan monarchy for wasting away national resources to build an ornamental lake at a time when the kingdom was under serious threat. When a hundred of his advisors advised King Sri Wickrama Rajasinghe against building the lake, he had them impaled on the reservoir bund of the paddy field which he was converting into the ornamental lake. It was not long before the British captured him, with help from his own noblemen disgruntled by his irrational policies. Kandy Lake has a perimeter of 2.1 miles and a maximum depth of 60 feet. A decorative wall, called Walakulu wall, runs for 2060 feet along the banks of the Kandy Lake. In the middle of the lake is an island housing the Royal Summer House. Sri Dalada Maligawa, or Temple of the Tooth Relic, is located beside the lake across the road. On the opposite side of the road from the Temple of the Tooth Relic is the Royal Bathhouse, which is used by the king's wives and concubines as a bathhouse. The British added one more story to the structure to house a library. One of the prettiest objects of the lake is the island. It is decorated with palm trees and bamboo thickets. King Sri Wickrama Rajasinghe built a dam for the purpose of reaching the opposite side of the lake. Then as the dam was not sufficient for him, the King removed the soil from both the palace end and the Malwatte Vihare end, leaving the island behind. At first this island was supposed to be the bathing place of the Queen and the ladies of the court. 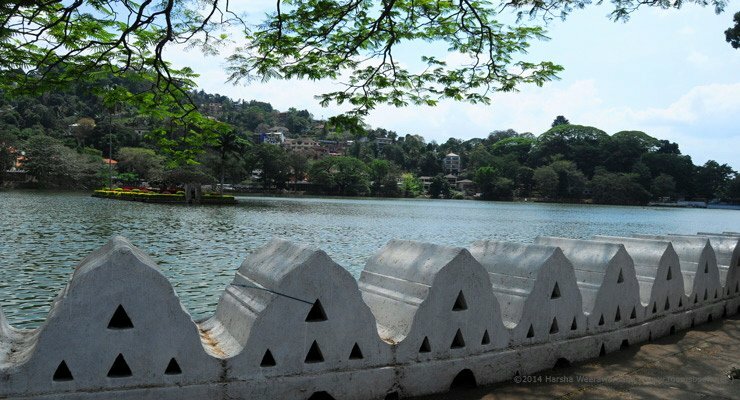 The Walakulu wall was built to increase the beauty of the Kandy Lake. It extends around half of the Lake and has taken one skilled architect to build it. The king who built the Walakulu wall couldn’t finish it because he lost the war and was forced to relinquish the Kandian kingdom. The Walakulu wall still lies unfinished. The triangular shaped holes in the Walakulu wall were used in the past for lighting oil lamps on festival days. The queen’s bath is situated partly in the waters of the Kandy Lake. The wives of Sri Wickrama Rajasinghe used the queen’s bath. The British added another storey which was used as a library. There are a variety of trees planted around the lake including Nuga trees, palm trees, fruit trees, Sal trees and Mara trees. Some of the trees are about 74 years old. The trees are now maintained by the Municipal Council of Kandy.